Regardless of your age, your physical health, or the amount of property and assets you own, there are certain estate planning documents everyone needs. At the top of the list is a properly drafted and executed will which instructs your surviving family members or friends on your final wishes and designates who you want to inherit any personal property or financial accounts you possess. Equally important is to designate power of attorney, which allows others to make decisions on your behalf in the event you are unable to do so yourself. There are two types of power of attorney everyone needs: a durable power of attorney, which gives decision making authority over your finances and business interests, and a health care power of attorney, enabling someone to make important medical decisions for you in the event you are incapacitated. 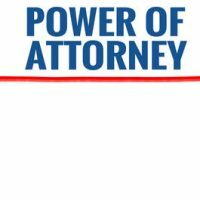 The New York State Bar Association advises that a power of attorney (POA) is an important legal document in which you, as the principal, grant authority to someone to act as your agent in spending money and buying, selling, or disposing of property. It does not diminish your own authority to make decisions in these matters, but rather provides if you are sick, injured, or otherwise incapable of making these types of decisions for yourself. The authority granted through a durable POA may be revoked or changed by you at any time and expires upon death. If you are permanently unable to make healthcare decisions, such as in the event of a terminal illness or severe injuries. You can limit the amount of decision making power you grant to your agent, or specify that your healthcare POA only applies in certain situations. Similar to a durable POA, your agent is required to follow any advance instructions, and to act in your best interests. To find out more about POAs and other estate planning documents that are important at any age, call or contact the offices of Cavallo & Cavallo. As your neighborhood law firm, we can advise you on the documents needed in your specific case to ensure both your interests and assets are protected. Request a consultation in our Bronx or New Rochelle office today.